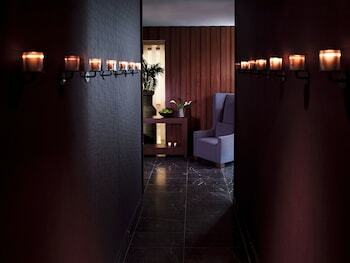 You may still be able to book by calling the hotel at 212-564-4567. 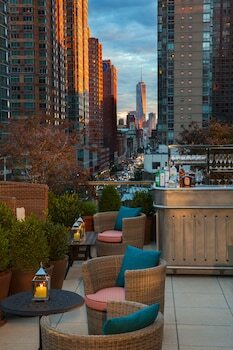 A towering, 54-story glass structure in Chelsea, Eventi is Kimpton's newest boutique hotel in New York City. 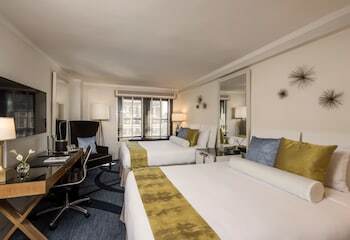 Its nearly 300 guest rooms and suites are as comfortable as they're modern and are outfitted with flatscreen TVs, marble bathrooms and Frette Italian linens that make your room's pillow top mattresses even more fantastic. 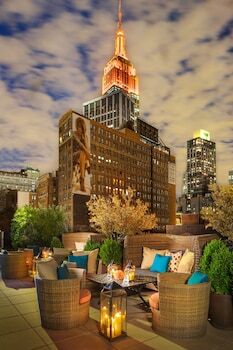 If you happen to be staying on a higher floor in a room that faces east, you'll be graced with a wonderful view of the Empire State Building. While the Eventi Hotel is one of the most popular hotels on the scene, it's what lies just outside that makes it so special. As you stroll down 29th Street, you'll notice that one wall of the hotel has a massive screen on it, which has become affectionately known as "The Big Screen Project." It provides entertainment for the multi-million-dollar Food Parc plaza, which was inspired by stretches of food stands and stalls that make street food so popular in cities like Bangkok and Hong Kong. 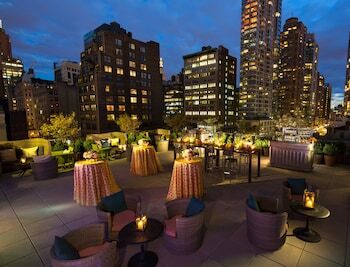 Kimpton Hotel Eventi is a 5-star hotel located at 851 Avenue of the Americas, New York, NY 10001, US . Its nightly price usually falls between $149 per night and $1149 per night, excluding tax, depending on room category. $149 per night found for a King Room - Non-refundable room type. 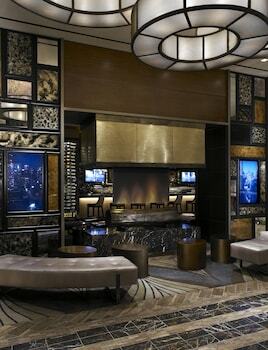 Kimpton Hotel Eventi sells rooms through sites like Room 77, Expedia, Hotels.com, GetARoom, and many others. Room 77 searches across dozens of different sites to find the lowest discount rates available. The lowest rate we've seen over the last few weeks was found on Room 77. In 1% of the cases we surveyed, all sites offered the same rate. You can compare real-time rates from all of these sites on Room 77. Room 77 is the only hotel shopping site that includes special discounts like AAA, senior, government, military, and corporate rates.